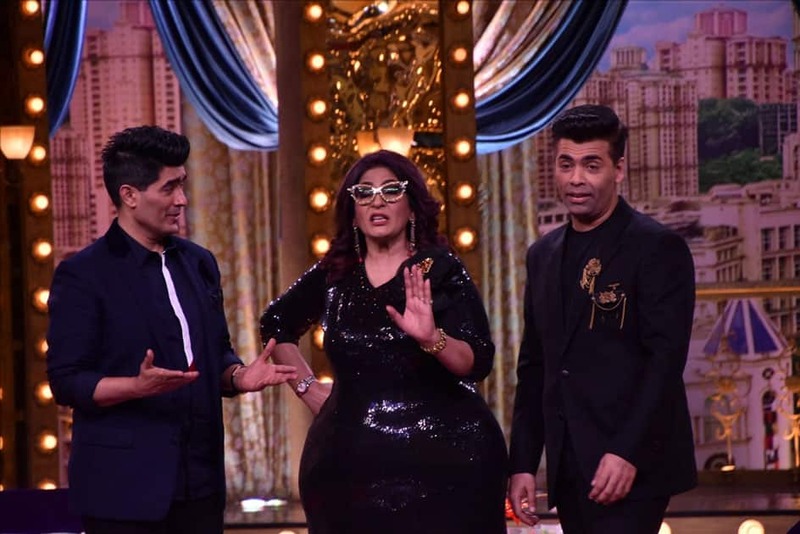 Fashion Designer Manish Malhotra, actress Archana Puran Singh and Director Karan Johar on the sets of live game show "Aunty Boli Lagao Boli" in Mumbai. 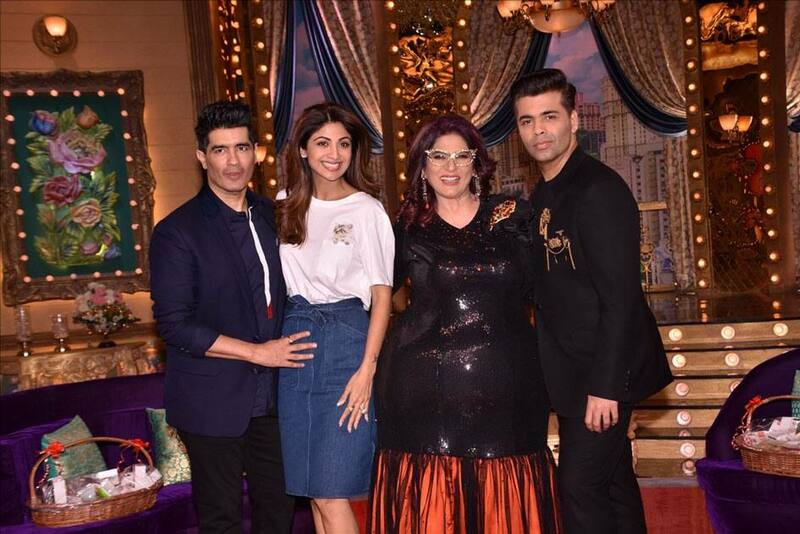 Fashion Designer Manish Malhotra, actresses Archana Puran Singh, Shilpa Shetty Kundra and director Karan Johar on the sets of live game show "Aunty Boli Lagao Boli" in Mumbai. 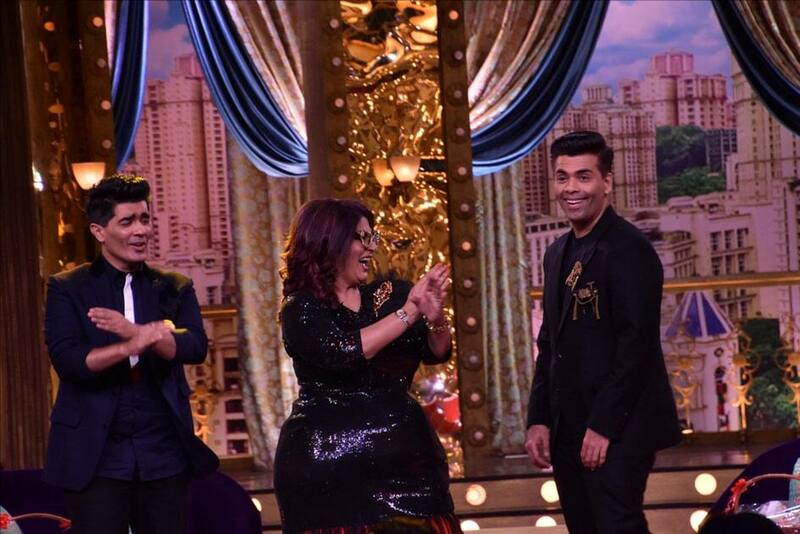 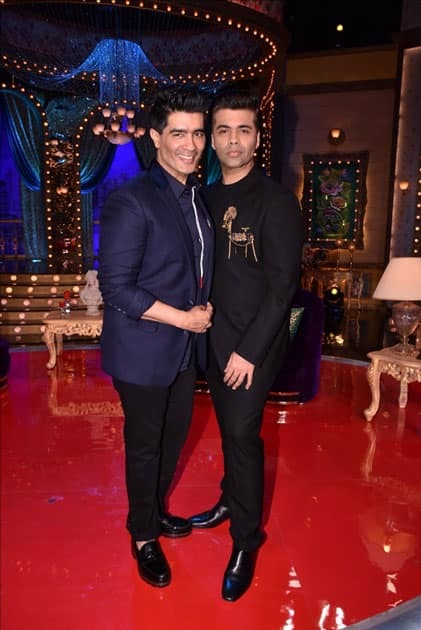 Fashion Designer Manish Malhotra and Director Karan Johar on the sets of live game show "Aunty Boli Lagao Boli" in Mumbai.